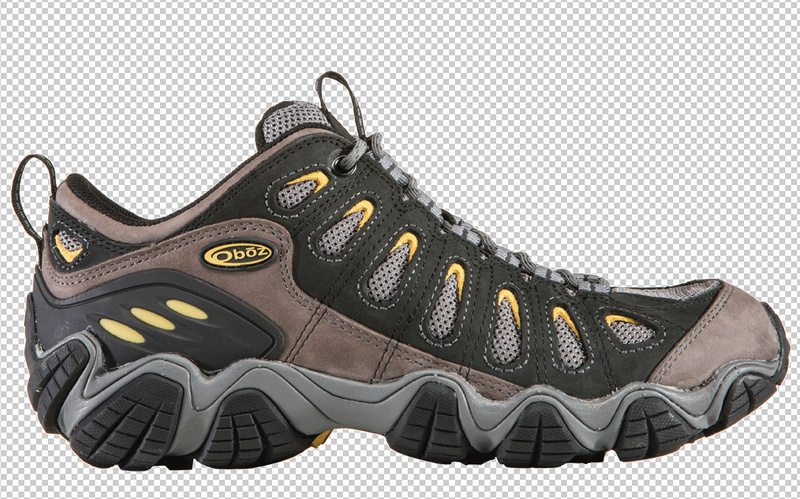 On the left we have a brand new Oboz Firebrand, and on the right is one that I’ve been hiking in for a few years. 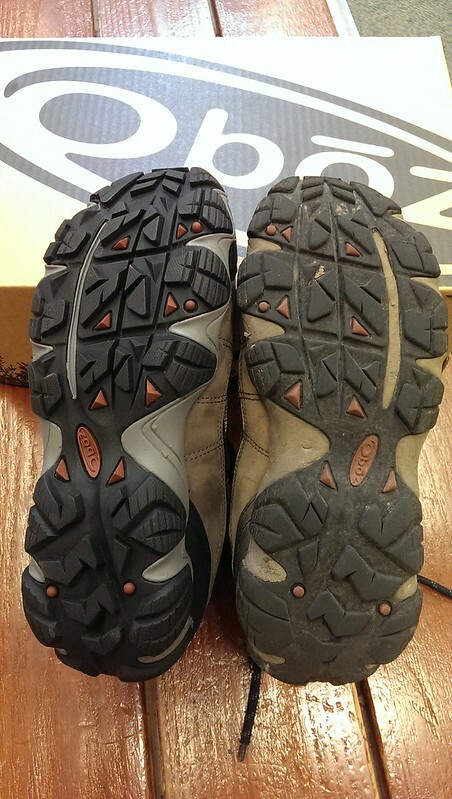 I went to get me some new hiking shoes at the gettin’ place, and was shocked at how mine had worn down. Good thing it starts out with a hefty tread. My Firebrands are still good for general purpose hiking, but you really want something that’s going to grip the slickrock at Zion. Don’t want to end up in a thousand foot free-fall, which sounds like fun, but only up to a point. Looks like it’s going to walk right of the page, doesn’t it? So we have eleven weeks to break in these bad boys. That’s just about right.